Hidden Truth Revealed exposes the truths that are all around us, unseen and unknown by most people. Let us entertain, enlighten and educate you about how you can become your own advocate, and may save yourself and your family from disaster. Where is justice? Our families are torn apart by criminal court cabals and judges we know nothing about. 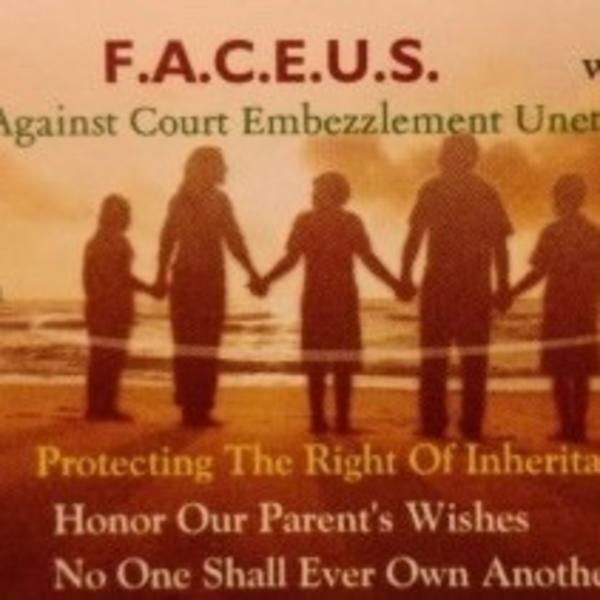 Inheritances are stolen by court actions and impoverish families to enrich court officials often imprisoning loved ones, placing them with abusive for-profit guardians, public administrators and conservators. The side effects of SSRI drugs forced onto the elderly and children. We elect Politicians to defend our rights, instead high priced lobbyists rule our government. Elections are bought by billionaires. Our food,water and air are tainted. Families, unaware of effects of GMO's, pesticides, fluoride, and nutritional deficiencies suffer preventable illnesses. Many natural doctors go missing, persecuted and killed, and natural farmers are driven off their land when natural remedies are the best cure. Corporate greed is rampant. Government does not protect us. How can we protect ourselves? Tune in to find out. Disclaimer: Please note: Not all judges are bad, public administrators, nor all attorneys, nor all guardians or conservators or public officials. We applaud the good fiduciaries who take their profession seriously to defend the rights and wishes of guardianship and conservatorship of our loved one (wards) and their families who are on the right side of the law. This information is for educational purposes only and constitutes first amendment freedoms as a blog. We are not lawyers, and we do not give legal advice. We want to educate the public with our own life experience to defend what is rightfully theirs and protecting the right of inheritance. We want to honor our parent’s wishes by protecting the just and proper intergenerational transfer of wealth.